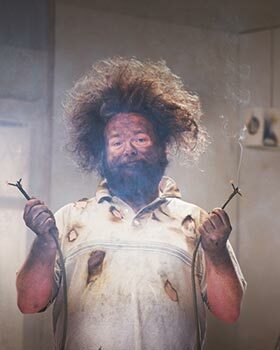 Is Your Electrician Really Qualified For The Job? The electrical system is clearly the brains inside the house. It controls almost all of the activities and allows you to smoothly perform your daily functions. The system, however, is also one of the most critical aspects of the house especially when it comes to safety. A faulty wiring can risk your life and turn your invested property into ashes in a matter of minutes. Be it the installation of new electrical lines or a rewiring job, it is imperative that you seek the services of a licensed electrician and stop considering doing it yourself or hiring an unlicensed contractor. In the current job market, a lot of contractors identify themselves as electricians, although only a few of them actually possess a license. It can be quite tempting to take on their offer, as they are far more inexpensive when compared to the fee of a professional electrician. However, if you want to ensure that the safety of your property and the lives of your loved ones are not compromised, then it would be better to shed some dough and contact a reliable, licensed electrician. One of the main reasons as to why a licensed electrician is the most reliable choice is the fact that this person has a clear understanding of the building code and the guidelines set by the NEC. This means that he will not second-guess on his methods and scrimp on the quality of the materials that he will use in performing the job. Acquiring a license entails experience, training and an above-average understanding of the electrical system, and these requisites are all present in a professional electrician. 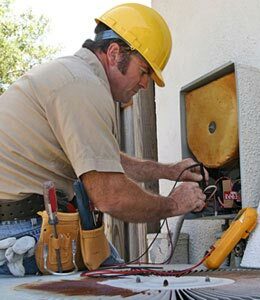 With a licensed electrician, you can expect quick, accurate and quality service and they can also provide you with a guarantee of their work. Since licensed electricians are familiar with the legalities concerning electrical works, they can also help you in these aspects. Prior to starting out an electrical work such as a major rewiring or installation, you will need to secure an electrical permit in order to avoid being reprimanded by the authorities and fined with a large sum of money. A licensed electrician can facilitate and get you the necessary electrical permits needed so that they can start working as soon as possible. If you are homeowner who lives in an old house and you are considering applying for an insurance policy or selling it, a licensed electrician will also prove to be very beneficial for you. Most insurance companies and real estate agents will ask you to verify that the electrical wiring in your house is in good condition and complies with the specification of the current building code. Your licensed electrician can perform the rewiring, repairs or the inspection for your residence and issue a “test and inspect” certification which bears the report that your house is not a potential fire hazard. Upfront, the service cost of a non-licensed electrical contractor is undeniably lower than what the licensed electrician will quote you. Keep in mind, though that these people are not sufficiently trained, cannot give you any kind of permit or certification, and they are susceptible to leave the work incomplete. When you look at it closely, a licensed electrician will be far more cost-efficient and they can help you avoid future complications, be it from faulty wiring or from legal and technical issues. This entry was posted in Electrical & Lighting, General Home Improvement and tagged electrical contractors, electricians by admin. Bookmark the permalink.